It’s a trend, I know, but I wanted to try out Fragrant Jewels. People speak pretty highly of this brand, and that intrigued me. Plus I love baths, so I thought it would be a good time. I wasn’t wrong, but I don’t think FJ will be getting my money again any time soon. 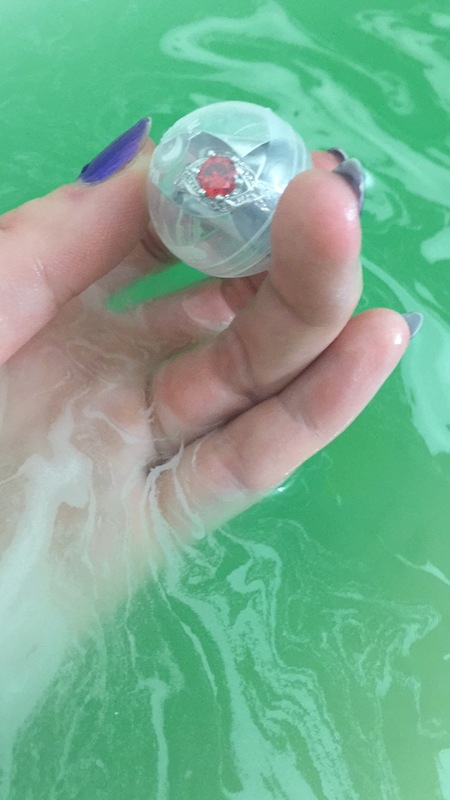 Fragrant Jewels is a company that puts rings in bath bombs and candles. You go to their site, choose a bath bomb (I got De-Stress because the anxiety is BAAAD), choose a ring size, then wait. 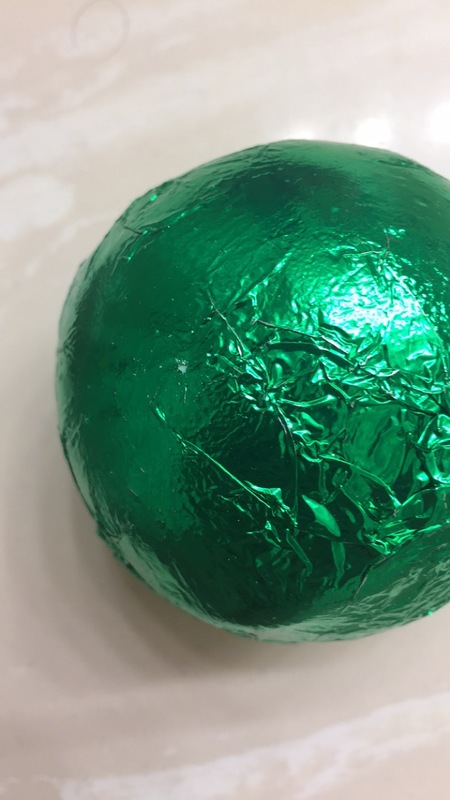 My bath bomb got here a little over a week after I ordered it, which really isn’t bad. I opened it up and didn’t feel like I needed a candle; the scent was strong enough to fill a room, but not painfully so. 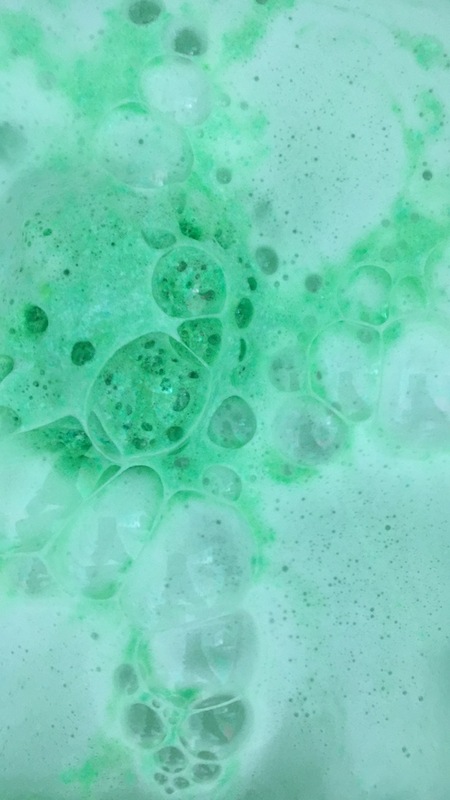 The De-Stress bath bomb was eucalyptus mint, and a lovely bath. It bloomed nicely, filling my bathroom with calming mint. It smelled fresh and took its time revealing my ring to me. My ring is pretty, worth $10, and something I will probably never wear; I’m not much of a ring person, I really just wanted to try the service. I believe most of the rings that go out are worth $10. They say some are worth $10,000 but I’m sure those are few and far between. Again, I wasn’t here for the ring. The bath was nice. I was disappointed to find that FJ is a brand that is often in the grey area for cruelty free; they say they’re cruelty free but often won’t comply with further questions. Sure, they could be busy, but they could also be covering themselves. I liked the bath that I had. It ended a weekend nicely, and I really felt more calm afterwards. But the lack of cruelty free was a big disappointment, and my thoughts on rings make this not the brand for me. If you’ve received a ring worth more than $10, I’d love to hear about it. Also, if you have heard that FJ is actually cruelty free I would like to know. 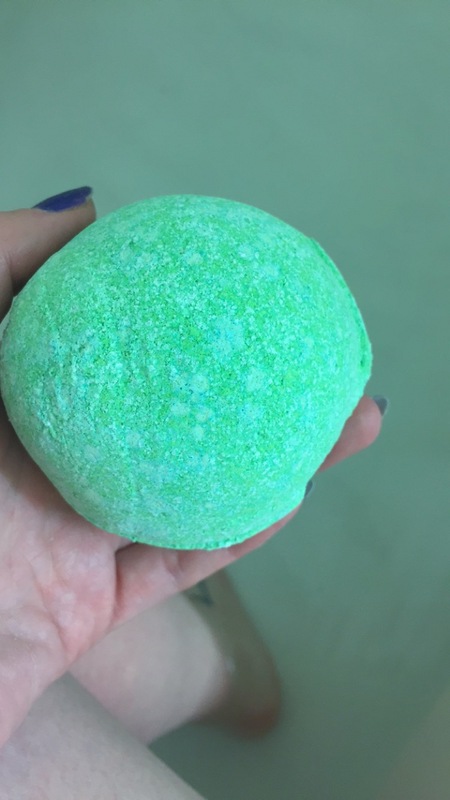 But for now, I’m sticking with Lush.